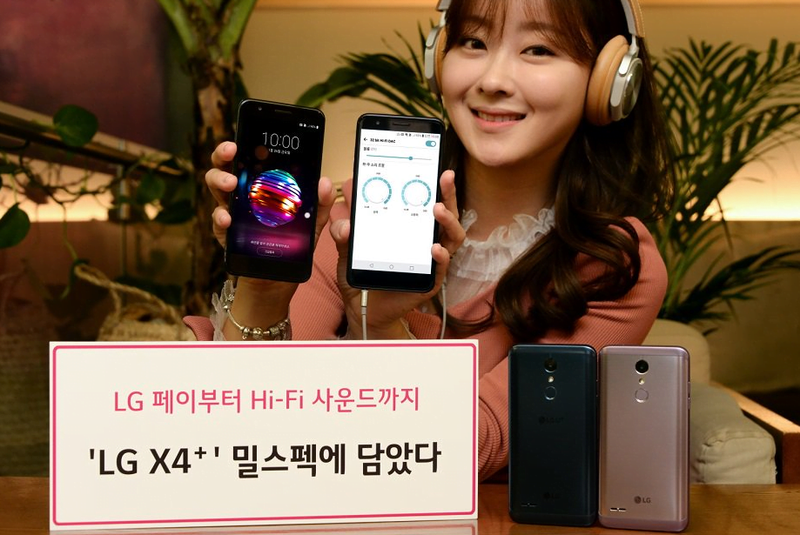 LG has announced a new smartphone in its homeland South Korea, namely, the LG X4+. The X4+ is a rugged smartphone from the company with military grade MIL-STD 810G certification, and it even comes with a dedicated HiFi audio DAC offering immersive audio experience. The LG X4+, for now, will be only available in the South Korean market for 300,000 won, which translates to $280. LG did not announce the availability of the smartphone in India though. Even though packing entry-level hardware, LG has opted for various latest tech. For example, the X4+ offers a dedicated HiFi audio DAC, USB Type-C port, which can rarely be seen on entry-level smartphones. Having said that, packing these features have made the South Korean company increase the overall price of the smartphone. Speaking about the key specifications of the LG X4+, it flaunts a 5.3-inch IPS display with a resolution of 720 x 1280 pixels. Powering the smartphone is the entry-level Snapdragon 425 chipset, which is coupled with 2GB of RAM and 32GB of native storage. The storage can be expanded via a microSD card. Connectivity options in the LG X4+ include 4G LTE, VoLTE, Wi-Fi 802.11 b/g/n, Bluetooth 4.2, GPS, and NFC. And as stated, the phone has a USB Type-C port, and it is backed by a 3000mAh battery. LG also added the support for LG Pay, which is the company’s payment system expected to make into the global market after the MWC 2018. Cameras in the smartphone include a 13MP rear camera with an LED flash and a 5MP front-facing camera. A fingerprint scanner is present at the back of the phone. The device weighs 172.3grams and measures 8.6mm in thickness. The smartphone boots Android 7.0 Nougat out of the box and the company did not disclose the plans for upgrading the smartphone to Android 8.0 Oreo. Overall, the LG X4+ is a decent addition to the LG’s lineup in its home turf, and it gives the company chance to compete with the likes of Samsung’s entry-level Galaxy J2 series of phones. We’re expecting LG to launch the same phone in India later this month. How is this a rival to the Galaxy J2 series which costs around $150? It’s almost double the cost. This is crappy move, LG!! !